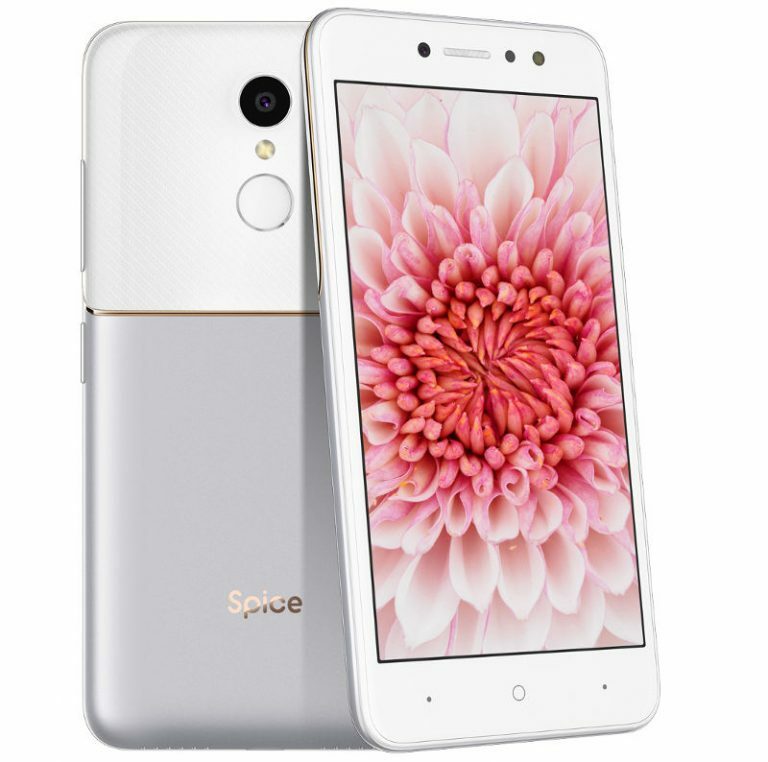 Spice today launched a new smartphone in India today in the entry level segment, the Spice V801. The phone is priced at Rs. 7,999 and it will be available for purchase from select retail stores in India. It has a 5-inch HD display, is powered by a quad-core MediaTek processor, and runs on Android 7.0 Nougat. One notable feature of this new smartphone from Spice is that it has dual apps feature that lets you use two different social media accounts or messaging apps, for example. You can log in to two different accounts on your favorite apps including WhatsApp, Instagram, Facebook, and Twitter, at the same time. The phone comes with fingerprint sensor technology that too with multiple features. The Spice V801 features a 5-inch HD (1280 x 720 pixels) 2.5D curved glass display. The Dual SIM phone runs Android 7.0 (Nougat) OS. The phone is powered by a Quad-core MediaTek MT6737 64-bit Processor clocked at 1.25GHz with Mali T720 GPU. Memory wise it packs 3GB RAM, with 16GB internal memory, which is expandable up to 32GB with microSD. In the camera department, the Spice V801 sports an 8MP auto-focus rear camera with LED Flash and f/2.0 aperture. At the front, it has an 8MP camera with LED flash. The phone has a fingerprint sensor on the back that lets you unlock the phone in 0.1 seconds and you can also make calls via a click on fingerprint, and it also offers instant access to your favorite apps. The fingerprint technology on the phone comes with customization up to 5 fingerprints as personal shortcuts. Connectivity options on the phone include 4G VoLTE, Wi-Fi 802.11 b/g/n, Bluetooth 4.0, and GPS. It also features 3.5mm audio jack and FM Radio. The phone gets power from 2700mAh battery. The new Spice V801 is priced at Rs. 7999. It is available at major retail stores in India.